Today I am going to review a new product from the brand Aroma Essentials . Its a De tan Soap . Aroma Essentials supplies skin care and hair care products that are made naturally without using any harsh chemicals or preservatives . They make their product in small batches to be used with in six months from date of manufacture . They suggest us to keep their product in Fridge as they do not add any preservatives to their products . 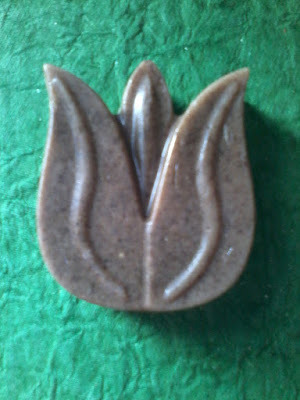 The first product from their range which I have tried is Detan soap . This De tan Soap contains citrus peel powder , papaya powder , aloe vera powder and vetiver . The soap has a cute look as its in shape of a lotus flower . It has a nice fragrance which stays for long . 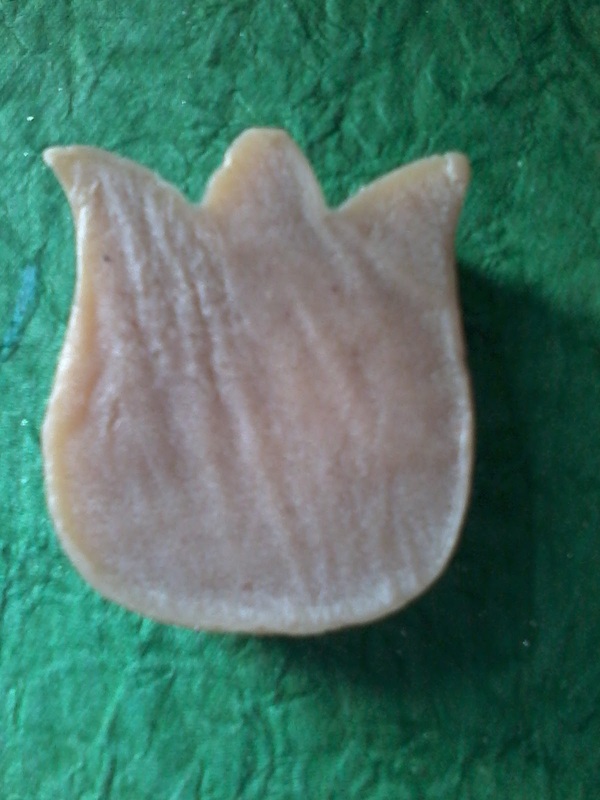 In this soap one side is soft and velvety to touch where as the other side is bit rough because the rough side is a scrub . As one can see from both the images that back side is soft and front side is bit rough , the rough one can be used as scrub . I found this concept very unique and interesting and immediately opened the pack to try the soap. The soap forms good lather and one feels fresh after using it . My skin felt clean , clear , soft and fresh after using this soap . Shelf life –Six months from date of manufacture . 2.No harmful chemicals used . 3.Does not contains any preservatives . 4.Can be used as a Scrub . 5.Helps to De tan the skin . Availability might be an issue as its not available every where . I have used this product few times and I am satisfied with it . Since my skin is oily I am too carful about choosing products for my skin or else it could lead to acnes or pimples problem .Thankfully this product suited my skin . My initial experience with this product is good , I will share more details after using it for some more time . They have wide range of products for skin care and hair care , all made from natural ingredients . If any one has tried any Aroma Essential product , they can share their experience in the comment section . After using other products from this brand I will share my experience in another post .